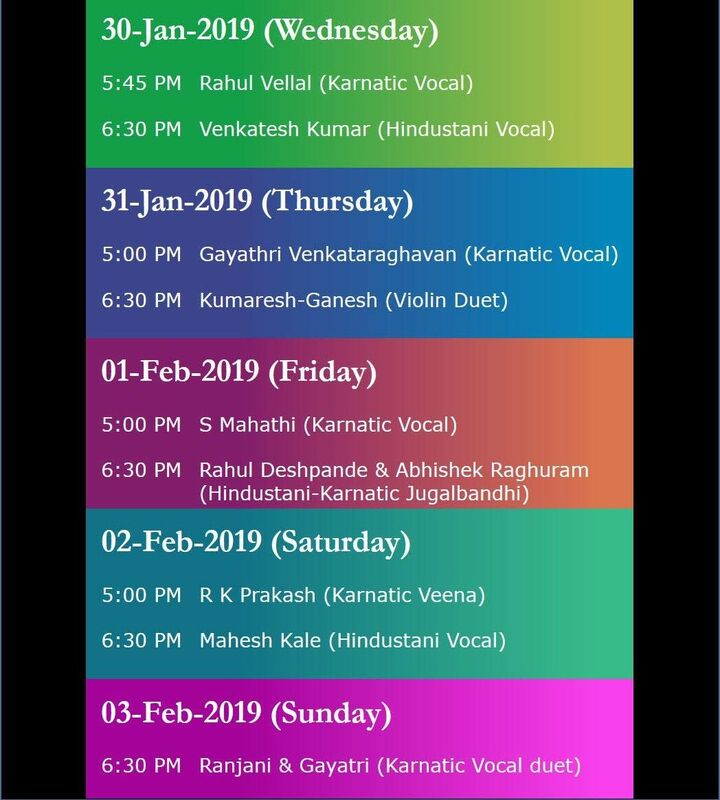 The Bharatiya Samagana Sabha’s 10th annual musical festival ‘Mysore Asthana Sangeethotsava’ featuring some of the greatest of Indian classical musicians will begin on January 30th, 2019 and will go on up to February 3, 2019. Dedicated to the memory of his late Highness Mysore Maharaja Shri Jayachamarajendra Wodeyar on the occasion of his 100th birth anniversary, the festival seeks to represent the best traditions of the Mysore bani. Mysore had been the hub of Carnatic music, bringing together the greatest of composers, vainikas, violinists as well as musicologists in the last century. Looking forward to your presence at these concerts. Every show promises to bring you a memorable classical experience of the finest exponents of our music.